It’s that time of year again. You might think you have pulled, sprayed or cut all of it, but the darned stuff still manages to flower and seed here there and everywhere. My dedicated team have noticed a substantial increase in the length of their arms during the last five years; they have really tackled this horrible weed and I think (whisper it) they are winning. 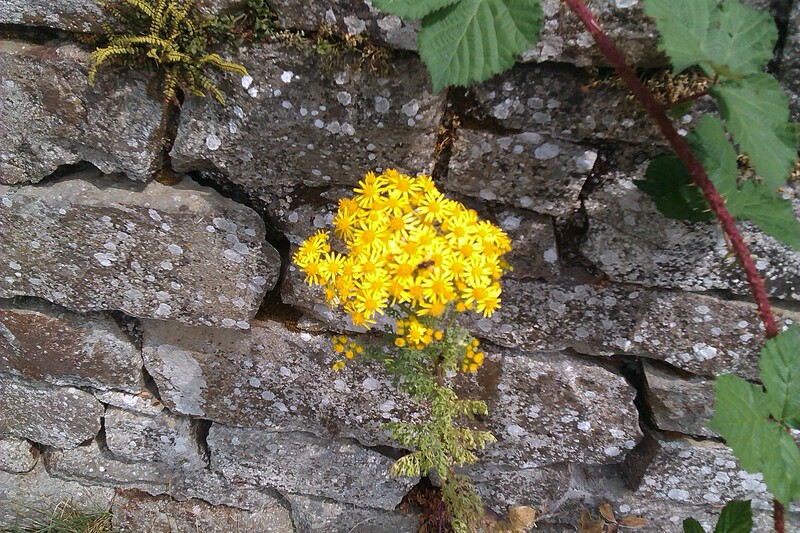 There had been an awful lot of misinformation peddled about ragwort on Twitter. ‘Don’t panic horse owners’, ‘Horses are selective feeders’ blah blah blah. Well here is my official line: if you have ragwort, go ahead and panic. Let your panic take the form of industrious measures to control the ragwort in your fields and hedges – you know it makes sense. When you have known quite a few horses and ponies which have been rescued in a state of emaciation, as I have, you know that this selective eating thing CAN go out of the window. it doesn’t always, but it can. A lot of horses will just eat whatever is there from an instinct to fill their bellies – and of course when ragwort is dried in hay or silage, it can be unnoticeable to a hungry horse, but it’s just as deadly. Death from ragwort poisoning isn’t instant, but it’s nasty, very nasty. I’ve seen it and I know. Spare a thought as well, for those of us who are constantly ON A DIET for our wellbeing. We tend to be kept on bare paddocks and can eat little bits of ragwort by mistake when we graze as close as we can to the ragwort plant. Over time, we could eat enough to do us harm, so get out there and sort it please. I can’t find any in my paddock today – thank you Sally and Sarah! This entry was posted in Hints on horse care, Horse welfare and tagged horse welfare, Noxious weeds, Paddock management, Weeds Act 1959 on July 27, 2013 by sallylearoyd. We are lucky here. We have lots of different fields and paddocks, which we share with sheep, cattle and other horses, depending on the time of year. Sometimes, we help out with the strimming as well, as the edges of the lane start to meet in the middle! 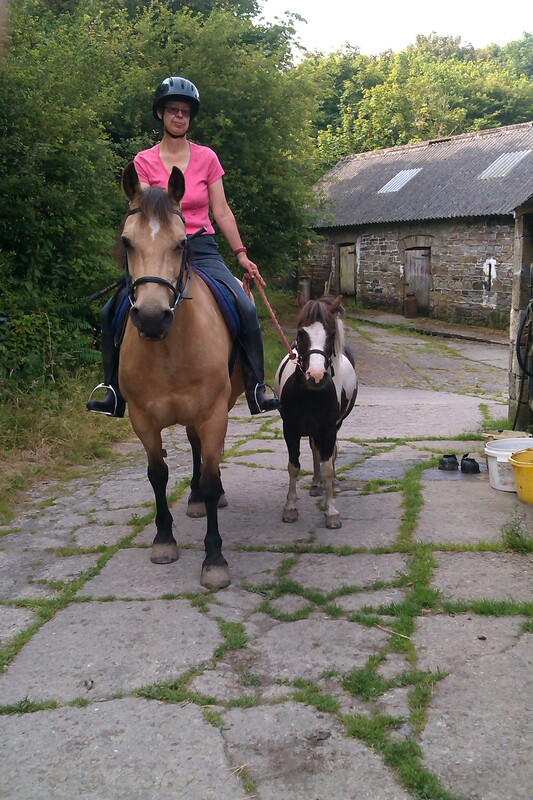 My friends Hooligan and Tawny have been helping with the edges all week. There are so many different plants and herbs and trees, we have a lovely choice of treats on days like today. Tawny has a bit of a problem with some bones and joints in her feet. She really likes eating the goose grass because she knows it will help her mobility. She also favours ash leaves and this is where she needs Hooligan’s help. He is the biggest, so she stands right by him when he reaches for a high branch, then snatches it for herself. Hooli is so good tempered – he doesn’t mind. 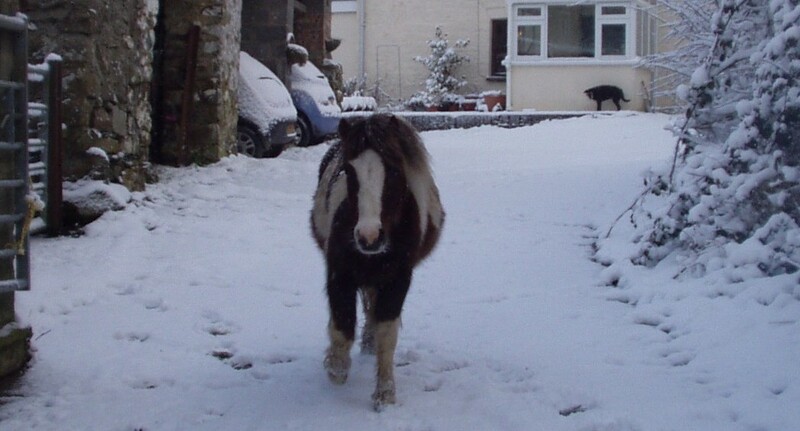 This entry was posted in Hints on horse care, Life and Times and tagged horse welfare on July 26, 2013 by sallylearoyd. One of the things you need to know about me is that I have a weight problem. At my place, there is LOADS of grass and it is too rich for me – makes my feet hurt if I have too much – but I am not too clever about knowing when to stop eating! So I am often, well permanently, on a diet. Luckily, some of my friends are too, so there isn’t a problem with company. Because of my gammy leg – remind me to show you the scar sometime – I can’t actually do riding and driving like the others, so I go ride and lead with the big guys, a few times a week. It is the greatest fun! My big friends are really obedient, but I do this very busy perpetual motion thing. So if they stop, I zoom around the front of them. If I get bored, I go in another direction for a while. Anyway, it’s cool and it helps me to keep my figure. I am King of the Road! 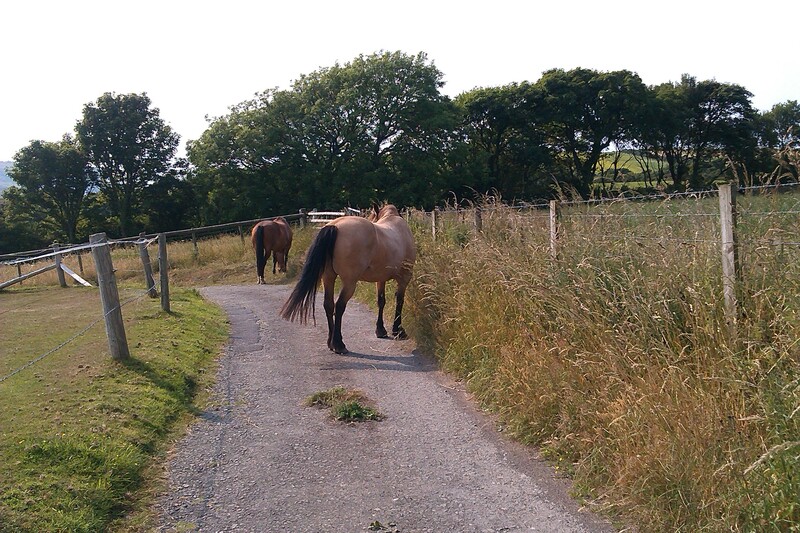 This entry was posted in Life and Times and tagged horse welfare on July 15, 2013 by sallylearoyd.